This is a bot tier list that gives my own personal opinions on the bots. It focuses on what they're good at and the things most people would look at with this bot. The ranks range from S to D tier. S tier obviously being the highest, while D is the lowest. This is a sort of brief overview. For full explanations, please request it from me. The list will be updated when a new bot comes out. New pages will be added when bot rebalances are applied. Please, let me know if you agree or not and why! That's about it. Hope y'all find this helpful! But Bumblebee above Windblade? 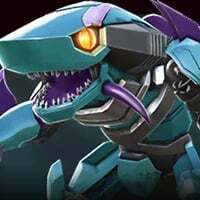 Shockwave below Rhinox? Motormaster below Grimlock? I can see why he did Bee below Windblade...Windblade is a pathetic excuse at a warrior...and why is she a scout? Smh. Another pointless tier list. When will people learn you can’t make a tier list in this game with so many variables. You may have a list of your preferences but it in no way represents anything in regards to how good they are, you’re list implies you don’t know how to use half of them. Good work @Warrior2410 . I agree that any tier list is purely subjective, but I really like how you highlight each of the various bot’s strengths and weaknesses. We as a community need more members like you, taking time to create maps, content, guides, etc. Thanks! These types of lists were super helpful to me when I first joined the Forge! Tier lists in this game are utter pointless. Each and every bot is useful. I am actually watching your tier YouTube video. That chart is great man. Kickback has far too low hp to be the number scout, and while his special two is insane with the power leaks and bleeds, having that low a health bar can be disastrous for non-ninjas. It took ages to actually get good enough with Kickback to understand that the best way to play with him was to always dodge after a combo, and never get hit by a combo. In higher level content, Kickback can be wasted with only 15 non-blocked hits. And Barricade, while quite good, is only good because he prevents usage of special attack. Apart from that, he is simply a regular scout with a high crit rate and and a lower hp. Neither of these are sustainable or logical choices for top one or two. And I don't hate these bots at all. Kickback is now my main scout, and barricade used to be my main scout. But it is what is @Bntyhntr3232_ . He definitely can be devastating... but what makes a good bot a great bot is the ability to be good all around. 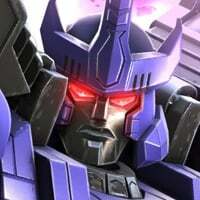 Megatronus? Insanely good all around, with buffs that make him exceedingly better. Prowl? INSANE power buffs, along with Megatronus-level power charges if used correctly. Very good health for a scout, allowing one to take more than a special without losing a good chunk of their health. Wildly effective power control that is not by chance and happens immediately. Kickback? Definitely has a high damage output, and you can get a pretty substantial power leak on opposing bots, but without the correct amount of skill Kickback remains an unsustainable option for fights because one of the main domains of a bots usefulness, hp, is extremely low for Kickback. 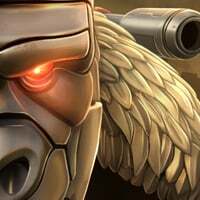 So while Kickback may be a good option for high level users with the correct amount of skill to preserve Kickback's health, for a great multitude of players he would not be the best scout to use, and even to the advanced player, in master and ROTK, Kickback is not going to be their first choice, as he has no good synergies apart from enforcers. Barricade is basically sideswipe on steroids. Correct me if I'm wrong, as I haven't fought using barricade recently. @Hijacker2531 Barricade is the reason [1 Way] keeps on winning at Map 3! His damage output is excellent, plus his evade and SP2 power steal is what keeps him in the fight against Boss-Tronus. Yea, he cant take a hit, just like Kickback, but unlike the Insecticon, he's got a pretty decent ranged attack. Previously, Map 3 MVP was G1 Megs, who's now a complete liability in the final section. Mind you though, your points on Kickback are 💯, albeit he's not such a wuss anymore after his buff. Yeah that makes sense. Barricade's evade definitely keeps me from using a heavy or special, or at least keeps me wary. An immediate power steal on his special two is definitely worthwhile, especially considering I remember that it did an exceptional amount of damage. And the ranged attack part definitely makes him superior to Kickback, as though I use kickback's ranged to help allow him to that dash in attack, it rarely ever does a significant amount of damage or critical. However, what makes Barricade's ranged more important is that it is an energy attack. Against Ultra Magnus and the Tact Sharkticon, Kickback borders on insignificant. Both his ranged and melee are physical attacks, which mean they stack up their physical resistance buffs to ten with no problem. Thanks for the insight @BlackRazak , and I've definitely noticed that the addition of the bleed to Kickback's sp2 has made that attack extremely dangerous. You list barricade as worst i dislike you. How are KICKBACK AND SIDESWIPE better than barricade? No. If he was he would not put barricade so low. Ya sure i said it literally? Or did i say figuratively? Don't like how barricade is so low and i meant i was a bit annoyed at him for that. But his tier list was pretty decent. Pft. Barricade is one of the best, if not top, Scout. do you know the difference between literally and figuratively?